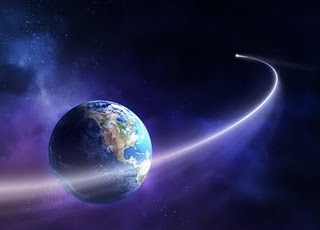 "I have seen a comet strike our Earth around the middle of the 1980s. Earthquakes and tidal waves will befall us as a result of the tremendous impact of this heavenly body in one of our great oceans..."
Warning, they warn about the danger. The great one of Rome will die (The Pope? ), the night over. 1+ SUSA: Capital of Elam (Susiana) and administrative capital of the Achaemenian king Darius I and his successors from 522 bce. It was located at the foot of the Zagros Mountains (are the largest mountain range in Iran and Iraq. With a total length of 1,500 km (932 mi), from northwestern Iran, and roughly correlating with Iran's western border, the Zagros range spans the whole length of the western and southwestern Iranian plateau and ends at the Strait of Hormuz) . The scene of the Biblical book of Esther is laid in Susa, where king Ahasverus (Xerxes) resides. Archaeologists have been able to identify several ruins with buildings mentioned by the author of Esther although the plot of the story is known to be fictional. The city is also the reputed location of the tomb of the Prophet Daniel. ...... between Iraq and Iran. Or both at once? One of the oldest cities in Mesopotamia, Susa was an ancient city of the Elamite, Persian and Parthian empires, located about 150 miles east of the current path of the Tigris River. + ERETRIA was a polis in Ancient Greece, located on the western coast of the island of Euboea, south of Chalcis, facing the coast of Attica across the narrow Euboean Gulf. Eretria was an important Greek polis in the 6th/5th century BC. However, it lost its importance in antiquity. The Eretrians were Ionians and were thus natural allies of Athens. When the Ionian Greeks in Asia Minor rebelled against Persia in 499, Eretria joined Athens in sending aid to the rebels, because Miletus supported Eretria in the Lelantine War. As a result, Darius made a point of punishing Eretria during his invasion of Greece. In 490 the city was sacked and burned by the Persians under the admiral Datis and the population was deported to Mesopotamia. Today, there is a modern Greek town of the same name on the ancient site. + ERYTHRAEAN SEA is one of the names found in ancient cartography. 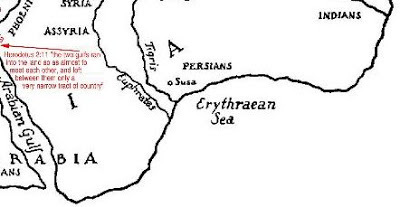 The name 'Erythraean Sea' has been or is still used for many places around the Arabian peninsula. ...... but there are others that say about the impact of a comet and a major war starting in the east and affecting America: The Hopi people. “…Hopi prophecy states that War will be started by the people who first received the Light" — Babylon (Irak), China, India or Egypt (I prefer Babylon first but we can not rule out China)-- . ...... but it is necessary start from the beginning. 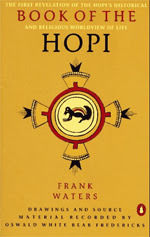 + "Hopi" is the contraction of Hópitu, 'peaceful ones,' or Hópitu-shínumu, 'peaceful all people': their own name. Since time immemorial the Hopi people have lived in Hopituskwa and have maintained our sacred covenant with Maasaw, the ancient caretaker of the earth, to live as peaceful and humble farmers respectful of the land and its resources. Over the centuries we have survived as a tribe, and to this day have managed to retain our culture, language and religion despite influences from the outside world. 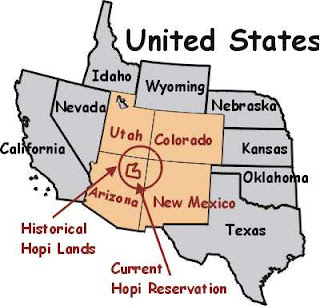 + The Hopi Tribe is a sovereign nation located in northeastern Arizona. The reservation occupies part of Coconino and Navajo counties, encompasses more than 1.5 million acres, and is made up of 12 villages on three mesas. + The Hopi are one of many Native American cultures in the Southwestern United States. When first encountered by the Spanish in the 16th century, these cultures were referred to as "Pueblo" people because they lived in villages ("Pueblos" in the Spanish language). The Hopi are believed to have been descended from the Ancient Pueblo Peoples (Anasazi) who constructed large apartment-house complexes in northeastern Arizona and northwestern New Mexico. They lived along the Mogollon Rim, especially from the 1100s through the 1300s AD, when they abandoned their large villages. No researchers have been able to determine the reason, although it is likely that a drying of water sources would have forced the people away. 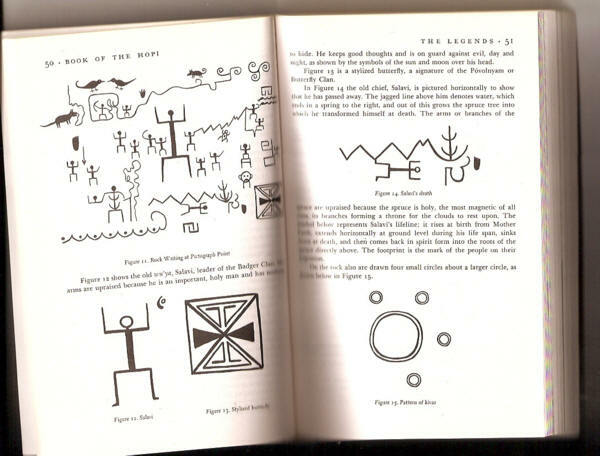 + The following Hopi prophecy was first published in a mimeographed manuscript that circulated among several Methodist and Presbyterian churches in 1959. Some of the prophecies were published in 1963 by Frank Waters in "The Book of the Hopi"
1- “This is the First Sign: We are told of the coming of the white-skinned men, like Pahana, but not living like Pahana men who took the land that was not theirs. And men who struck their enemies with thunder. 8- “This is the Eight Sign: You will see many youth, who wear their hair long like my people, come and join the tribal nations, to learn their ways and wisdom. 9 & 10- “And this is the Ninth and Last Sign: You will hear of a dwelling-place in the heavens, above the earth, that shall fall with a great crash. It will appear as a blue star. Very soon after this, the ceremonies of my people will cease. “Many of my people, understanding the prophecies, shall be safe. Those who stay and live in the places of my people also shall be safe. Then there will be much to rebuild. And soon — very soon afterward — Pahana will return. He shall bring with him the dawn of the Fifth World. He shall plant the seeds of his wisdom in their hearts. Even now the seeds are being planted. These shall smooth the way to the Emergence into the Fifth World. 1+ The First Sign is of guns. 2+ The Second Sign is of the pioneers' covered wagons. 3+ The Third Sign is of longhorn cattle. 4+ The Fourth Sign describes the railroad tracks. 5+ The Fifth Sign is a clear image of our electric power and telephone lines. 6+ The Sixth Sign describes concrete highways and their mirage-producing effects. 7+ The Seventh Sign foretells of oil spills in the ocean. 8+ The Eighth Sign clearly indicates the "Hippy Movement" of the 1960s. 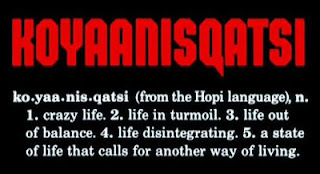 + And the question is .... what happens when the prophecies coincide despite its origin? Nov. 3, 12. Goodbye from Spain.